Sam Hunt is about to embark on a huge headlining tour, that will take him across the US for four months! The biggest thing on the country scene right now, Hunt will be joined by fellow ones-to-watch Maren Morris & Chris Janson for a night of red hot contemporary country! 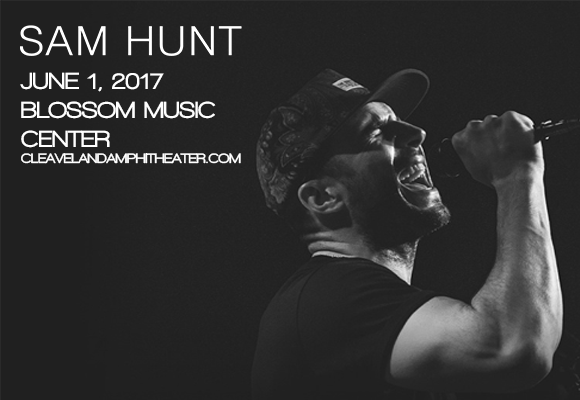 Hunt and the gang will be coming to Blossom Music Center on Thursday 1st June 2017! Country singer Sam Hunt first began his career in the industry writing singles for other artists, including Kenny Chesney, Keith Urban, Billy Currington, and Reba McEntire. After signing to MCA Nashville at the beginning of 2014, he released his debut album Montevallo, launching five record-breaking singles, including three consecutive Hot Country Songs chart and four Country Airplay chart number ones. With the success of these singles, Hunt became the first country music artist in 22 years to reach the top of three country music charts simultaneously, the first country music artist since Clint Black in 1989 to occupy both year-end number one album and single, and the first solo male artist to land four number ones on the Country Airplay chart from a debut studio album.